Kwikset electro-mechanical locks feature wireless connectivity using Z-Wave. 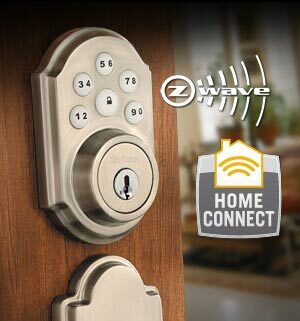 Z-Wave enables the door lock to wirelessly communicate with other devices in the home such as 2GIG’s Go!Control Wireless Alarm. Once the lock is successfully added and shows up on the controllers display, KEEP THE LOCK WITHIN 12 INCHES of the controller for 60 seconds. 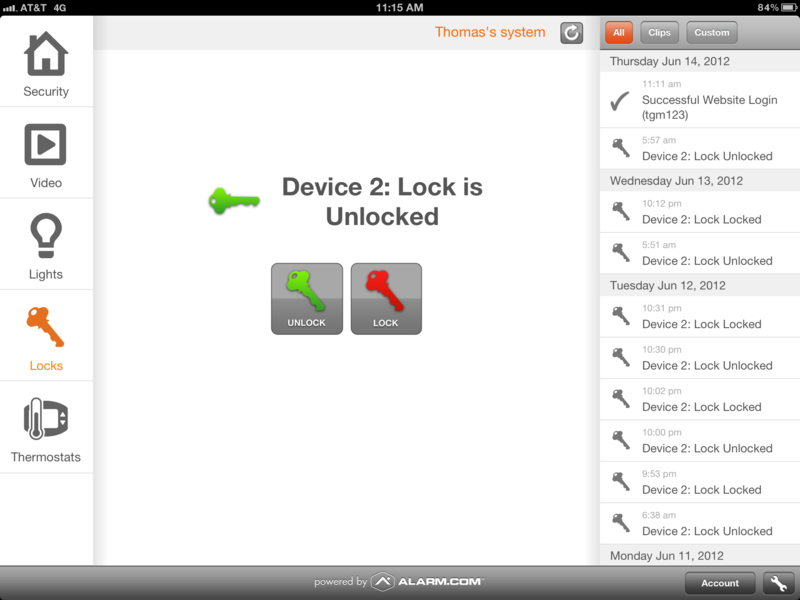 This will allow for all of the locks data and encryption information to be successfully passed to the controller. Please keep in mind that Z-wave is a “Wireless mesh network” and that all Z-wave devices only have a typical range of 30 feet or less depending upon the homes construction and communication path. It may be necessary for the installer to install a repeatable or beaming Z-wave device (lamp module) to assist in the communications path with the controller. 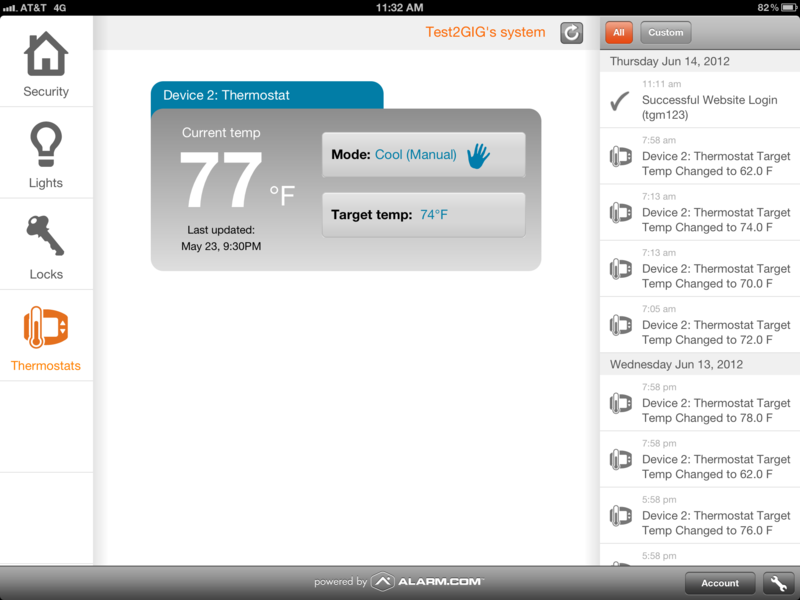 The more Z-wave devices installed in a home, the more robust the Z-wave network. 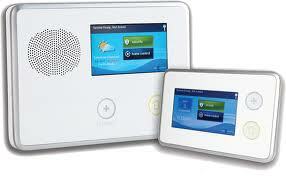 This is true for locks, lights and thermostats and is not lock only specific. The above process will prevent communication failures between the lock and the controller or erratic operation caused by the installation of a lock that hasn’t been fully programmed and completely recognized by the controller. On occasion, a lock may fail to operate as designed or programmed because the data transmission during inclusion or “ADD DEVICE” was not 100% successful and the lock may be operating with a controller that does not completely recognize the data being transmitted by the lock. Utilizing this information, as well as the previous technical bulletin, should help to eliminate most if not all Z-wave lock related issues that an installer may experience when in the field. Should an installer have the issue described above and experience poor response, erratic operation or no operation, remove the interior section of the lock and take it over to the Z-wave controller. Initiate a “REMOVE DEVICE” and then initiate an “ADD DEVICE” to reinstall the lock as outlined above to ensure proper and complete communication between the controller and the lock. System alerts and notifications offer great advances in home and business monitoring, but wouldn’t it be amazing if you could actually see what’s happening at home while you’re away? Burns & McBride Video allows you to do just that. It even offers options for outdoor and night-vision cameras to monitor what goes on in your yard or driveway. 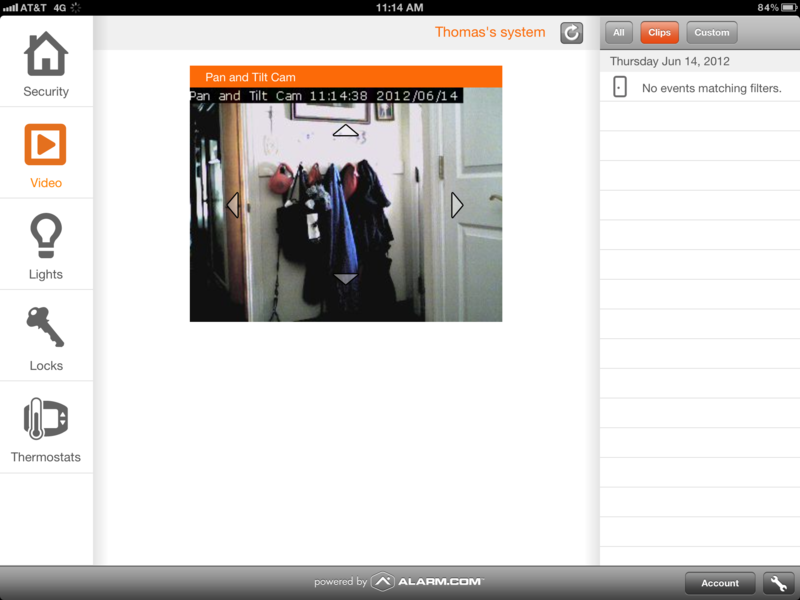 View real-time video of your home from one or more of your cameras. You can watch each angle one at a time, or take advantage of the Multi Camera View to see all camera views on a single screen. Easily set up your cameras to record video clips whenever motion is detected or during scheduled times. Then view, tag and search your clips to retrieve them later. Using any compatible cell phone or web-connected mobile device, you can access saved video clips and even view live feeds. 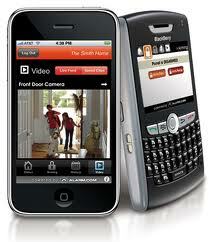 * Recorded video clips can also be sent to your mobile device along with system alerts and notifications. Burns & McBride Home Comfort can offer you a variety of security-grade IP video cameras as part of our Smart, Safe home system Each camera includes built-in Wi-Fi or Ethernet connectivity and requires only a high-speed Internet connection and a power outlet — no need to plug it into your computer or install any software. 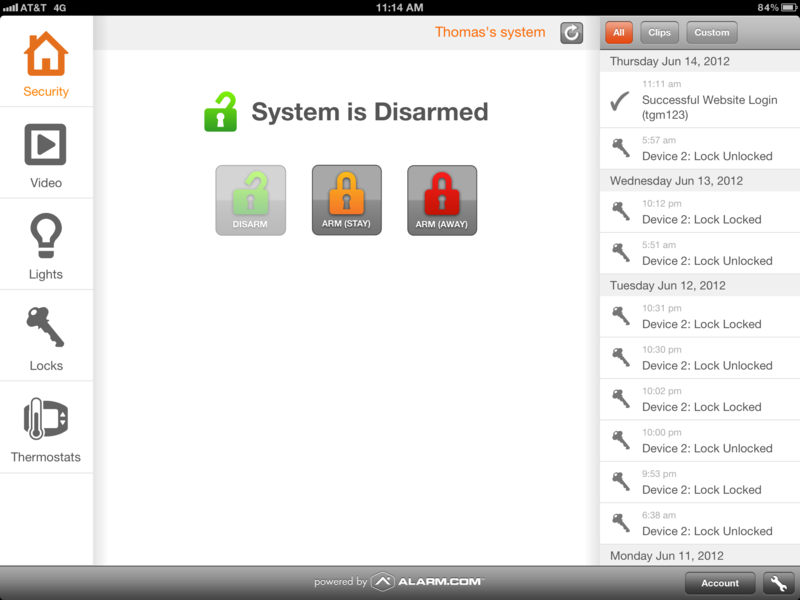 The videos are stored remotely on our servers at Alarm.com, which means that you’ll be able to view both live and recorded clips anytime on the web — or even on your cell phone or smartphone. You can even move the camera around your home to meet different needs. Maybe you would like it to watch the back door or then again you might want to look in on one of the children’s rooms. You be the judge. 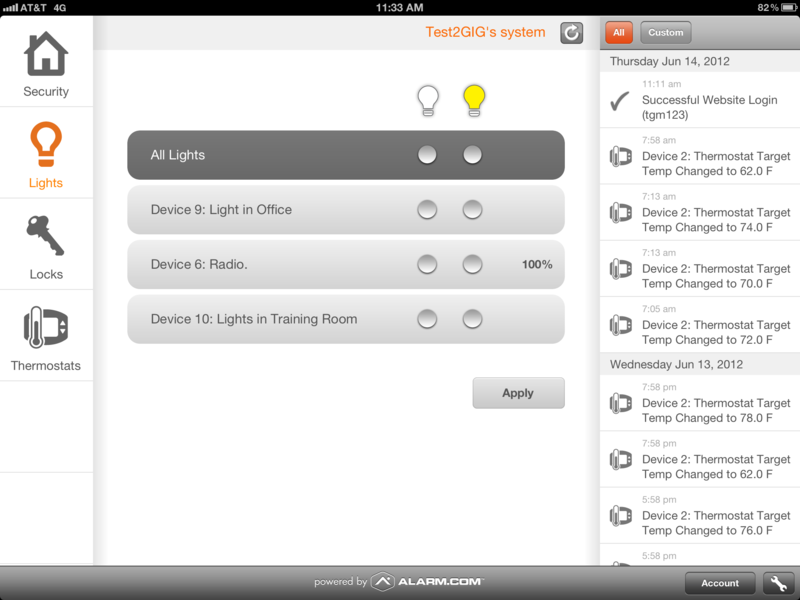 * Note: Functionality varies depending on your Alarm.com service plan. As you know from this blog, we at Burns & McBride use 2GIG equipment to provide you state of the art, affordable home automation. We liked it so much, that we thought we should share it with you since it does a great job of showing you how 2GIG can help you. Click on the logo to see the video. As you can imagine, 2GG, like all manufacturers, is happy to put the name of different contractors on their equipment. 2GIG makes the equipment which is featured in this story. We realize that its a little unusual to point you to an article featuring a competitor. This story does a good job of explaining just what the 2GIG system can do for you. At the end of the day, we want you to compare us with Vivint and with other contractors. We think the Burns & McBride Smart, Safe Home system offers some unique benefits from all other competitors, including Vivint. We’ll be happy to show them to you. At the end of the day – y0u’ll be the judge.